Oh, wonderful Spring! It’s a time for warmer attire and floral everything. Easter is almost here and that means Easter baskets. History.com states that “over 90 million chocolate Easter bunnies are made each year.” In today’s fun post, we’re exploring what Easter baskets and financial responsibility have in common. Are you in the mood for an egg-cellent time? Well, here we go! The most popular Easter baskets are the ones with a little bit of everything. Diversity in your basket, or financial portfolio, is optimum for the long term. So, when you think about financial responsibility, try to have multiple sources of income. Jobs, investments, and interest savings are all ways to earn money. Keep your basket bright and colorful, as well as vary the treats, and you’re in for the best. We all know that Easter baskets and finances are delicate things. And because of that, they both need proper care while handling. A basket must be supportive and strong, as well as able to carry all of our findings. The same goes for the places we store our money. Unlike a bank, Achieva is not-for-profit. We are owned and operated by the members we serve. That means that we’re accountable to you instead of outside shareholders. All transactions are handled with care and in regards to our members. To many, the celebration of Easter equates to rebirth or resurrection. What Easter baskets and finances have in common is the fact that they symbolize the need for growth. Eggs, spring chicks, and small bunnies are all things we want to grow. This also holds true for our finances. Furthermore, we can see just how celebrated Easter is by looking at the Whitehouse’s most participated event. The demand to attend the White House Easter Egg Roll averages “almost 50,000 lottery applicants [or] around 200,000 tickets”. That’s a lot of Springtime fun for everyone. 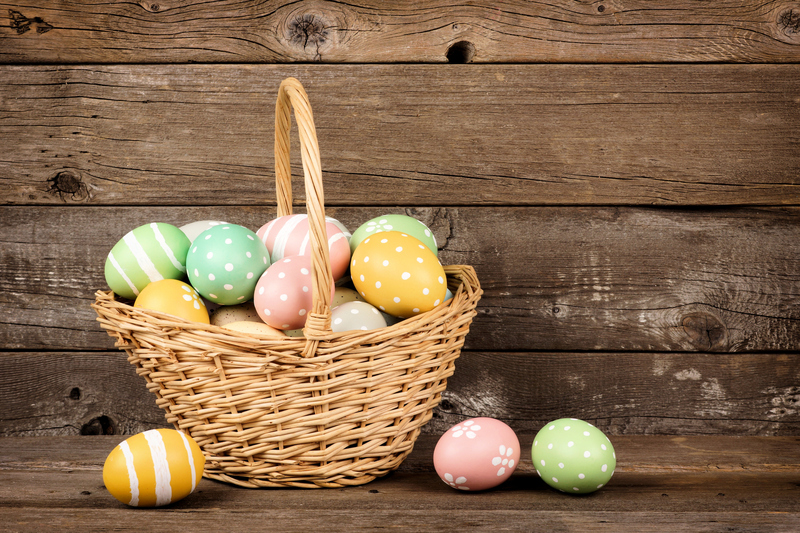 Also, according to a report by Time Magazine, “The National Retail Federation estimates that Americans will collectively spend $17.3 billion on clothing, food, decorations, and other holiday items this Easter, up from $16.4 billion last year.” That means, we put a ton of effort into our Easter events and baskets. The same notion applies to our financial responsibility. We plan, we track, we save. All is done with thoughtfulness and intention. In conclusion, the traditions of Easter will continue year after year. There are so many interesting similarities between our baskets and our finances and we hope you’ve enjoyed this post. From everyone at Achieva, have a beautiful and fun-filled Easter holiday.